Corns and calluses are thick, hardened layers of skin that develop when your skin tries to protect itself against friction and pressure. They most often develop on the feet and toes. A Podiatrist's role in diabetic foot care ranges from regular prevention and education to identifying and treating problems before they get out of hand. Ingrown toe nails are a painful condition in which the nail grows so that it cuts into one or both sides of the nail bed. Fungal nail infection is when the nail becomes thick and discolored. The nail can become brittle or fall off completely. The plantar fascia is the thick tissue on the bottom of the foot. It connects the heel bone to the toes. When this tissue becomes swollen or inflamed, it is called plantar fasciitis. This can be very painful if not treated. A wart is a small, often hard, abnormal elevation on the skin, usually caused by the papillomavirus. We treat patients of all ages with an aggressive approach that decreases pain with expectant resolvement. Peripheral Neuropathy is a result of damage to your nerves in your extremities resulting in weakness, numbness and pain caused by Metabolic (Diabetic, Gout), Mechanical (Spinal Stenosis) and age. Bunions are a painful swelling that cause a bony bump to form on the joint at the base of your big toe. Hammer Toe is a condition in which the toe is flexed (curly), but with no abnormal rotation of the toe. Hammer toe may require surgical correction. A bone fracture is a medical condition in which there is a damage in the continuity of the bone. A bone fracture can be the result of high force impact or stress, or a minimal trauma injury as a result of certain medical conditions that weaken the bones. 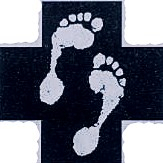 Brandywine Podiatry specializes in medicine dealing with the diagnosis, treatment, and prevention of diseases and disorders of the human foot; in return improving the quality of life for their patients. Each year more than 65,000 lower limbs are amputated due to complications from diabetes. Including a Podiatrist in your diabetes care can reduce the risk of lower limb amputation by up to 85%.